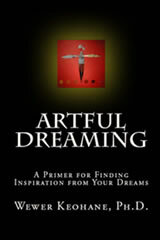 Artful Dreaming is a unique, engaging work that is both inspiring and motivating. The author delivers valuable tips for finding inspiration in dreams, including recollection, incubation, interpretation, and translation of dreams into visual imagery and written works. The writing is strong, and the exercises add a practical element to the book and help illustrate the discussion in the text. Children and adults alike will enjoy A Story for Isabel, for it is a sweet and tender tale about how caring for someone else’s dog leads Jesse and Max to the perfect dog for them. You will laugh, cry and enjoy the patience that healing a rescue dog added to the lives of a couple who thought they would never have another dog. 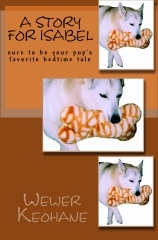 A Story for Isabel is sure to be your pup’s(and child’s) favorite bedtime tale. Reading level 9-adult. 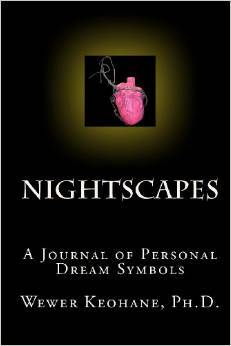 This journal will help you notice how creative your personal metaphors are. Each family member can enjoy their unique symbol book. Draw, stamp, write and collage your symbols and allow your creativity to honor your dreams.You don’t have to be an artist and you can do this at any age. Parents, this is a great way to help your children honor their unique creative voice and to have a meaningful activity with your children. 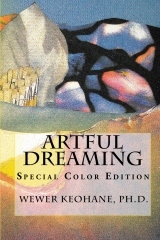 Artful Dreaming is a unique, engaging work that is both inspiring and motivating.The author delivers valuable tips for finding inspiration in dreams, including recollection, incubation, interpretation, and translation of dreams into visual imagery and written works. The writing is strong, and the exercises add a practical element to the book and help illustrate the discussion in the text. This is a color version of the original book which is a primer for finding inspiration from dreams.